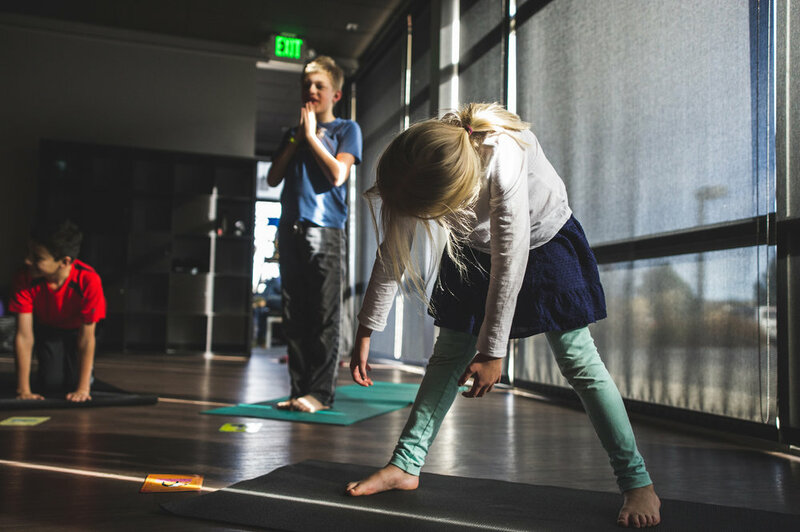 It's very difficult to explain to parents and professionals what Spectrum Yoga is. Many people have preconceived beliefs about yoga. Some believe it's non-stop physical poses with handstands and side crows. Others believe it's not talking, completely zenned out, calm meditation. In a way, both are correct. Yoga is whatever you want it or need it to be. I created Spectrum Yoga for those who have a hard time sitting in one spot at a time, for those who need visual instructions vs. verbal, for those who have low muscle tone or limited coordination but want to participate in gym class with their friends, for those who have a little harder time focusing, for those who can be misunderstood. I created Spectrum Yoga with the idea that the neurodiverse community should have access to one of the oldest, and in my opinion, most powerful practices for positive transformation. In my classes, I encourage discussion, doing poses on your mat sideways, socializing, expressing yourself completely, listening to and trusting your body and mind, not doing the pose correctly (but safely), taking breaks when needed, making mistakes, trying again, and laughing. To me, this is yoga. 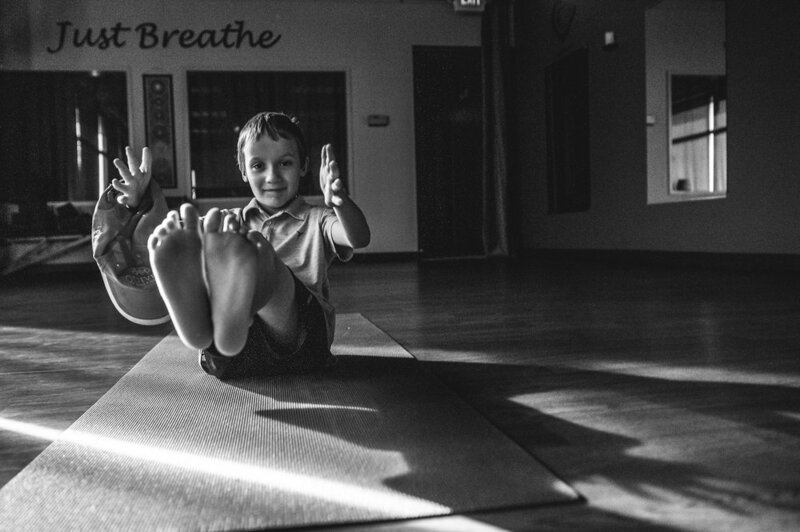 Spectrum Yoga is more than yoga. It's a community of lovely parents and their amazing kiddos. It's far more than poses. It's a place where diverse minds and amazing humans come to calm, connect, and discover. It's a vision that everyone deserves access to yoga, to life skills, to tools for full life engagement. I'm not exactly sure how to explain what Spectrum Yoga is, in a sentence, because it is so many things. 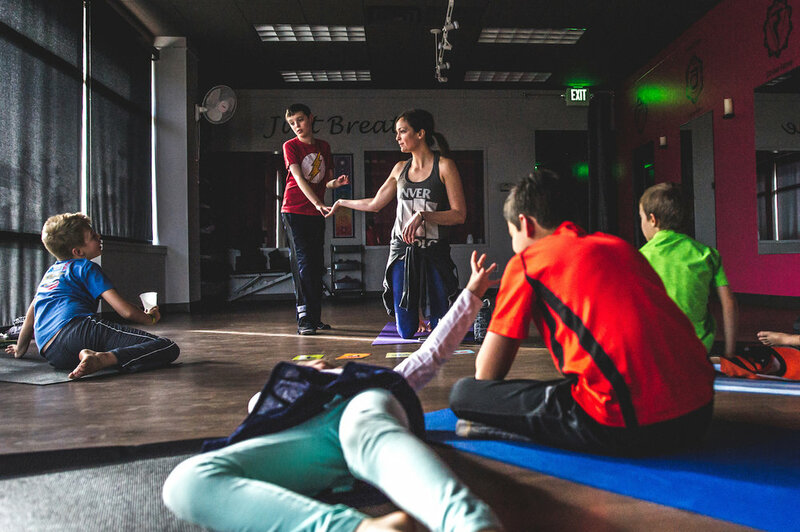 But I can tell you what it's not: Spectrum Yoga is not your typical yoga. To learn more about Spectrum Yoga, click here. Blog Post By: Christine Devereaux, Founder and Creator of Spectrum Yoga. All photos in the post are by Samantha Hines Photography. Samantha Hines supports services and families in the autism community through her documentary photography and is an incredible person and documentary photographer.